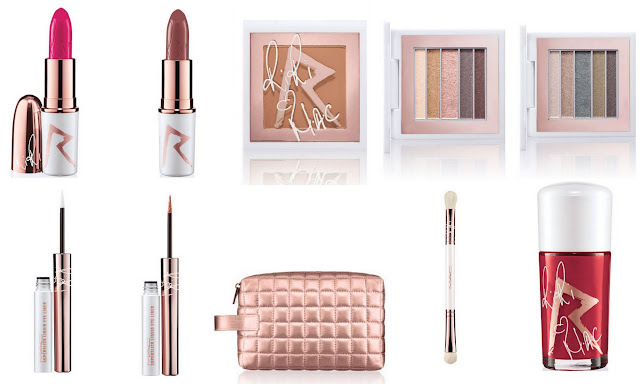 She's done it again - RiRi x Mac is back for a Christmas collection! This is her fourth and final collaboration with MAC Cosmetics. Pictured below are the exciting new products in the range and the best seller Riri Woo is of course included yet again! There are two new lipstick shades, a blusher, two eyeshadow palettes, eyeliners, a nail lacquer, a make up case and a double-ended make up brush. They've stuck to the signature rose gold theme for the packaging although it's slightly different to the current collection on sale. I've got my eye on those gorgeous lipstick shades! This limited edition collection is available at Selfridges from 5th December and nationwide from the 12th December.